2018 was an interesting year for the motorcycle scene. We’ve seen a significant growth in motorcycle ownership among women who now takes almost 20 percent of the market, up by 300 percent from 1990. Women riders are slated to rise to 25 percent in the next couple of years. Exciting times! Regardless of gender, it’s time to break out the savings for there are so many interesting two wheels to spend on this year! Riding season has officially commenced so here’s a round up of motorcycles in the running for best motorcycles this year. Now I know not everyone has a very deep pocket to afford the new rides that’s why price point played an important factor in the picking. Since these motorcycles are fresh off press release hype, only time will tell if they actually deliver. Nevertheless, here are the motorcycles that are looking really strong at the beginning of this year’s riding season. A lot of buyers will write off the GT 650 Twin because it pales in comparison with middleweight motorcycles on the spec sheet. The thing is that it’s not trying to compete in any of the existing category; it’s looking to create a new one. 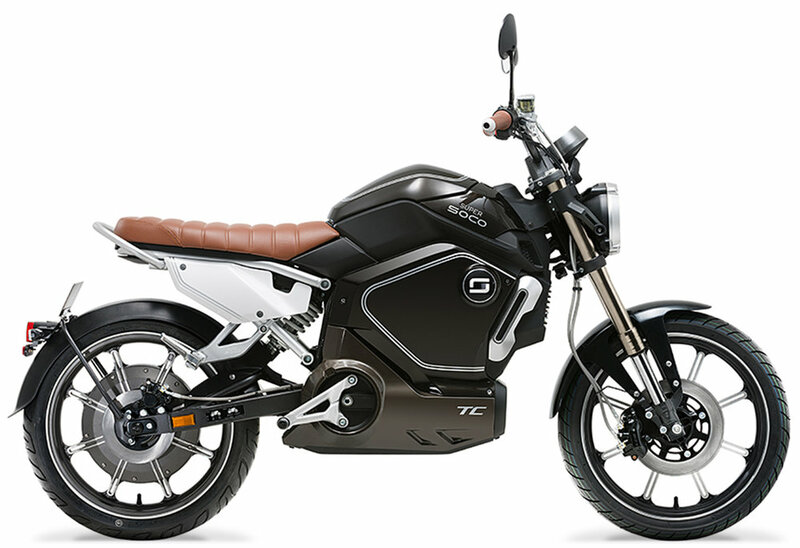 There is no market for inexpensive, user-friendly, simple yet cool electric motorcycles and that’s what GT 650 Twin is all about. It looks super cool in the flesh and I think those who’ve seen it will see the appeal. Why change a winning formula? This year, BMW’s premiere R1200 GS will be replaced by R 1250 GS without much alteration to the looks but it’s got bigger, mightier engine with 1,254cc and 135 horsepower. It also features ShiftCam, a new camshaft control system that ensure efficient and consistent power distribution across the power band. Available now at $17,695. As flat track ovals are popping up all over the place, Indian is capitalizing on the trend with the FTR 1200. It is the first street-legal factory-made option of its kind so all eyes are on it right now. It boasts a 1,203cc engine generating 120 horsepower. Price starts at $12,999! Ducati wants its SBK Championship back and in the process, birthed the super gorgeous Panigale V4. This speedster features the same engine as the VR but downsized from 1200cc to 980cc to fit the race spec. It features 209 horsepower and will go on sale this month for $40,000! Forget two wheels! 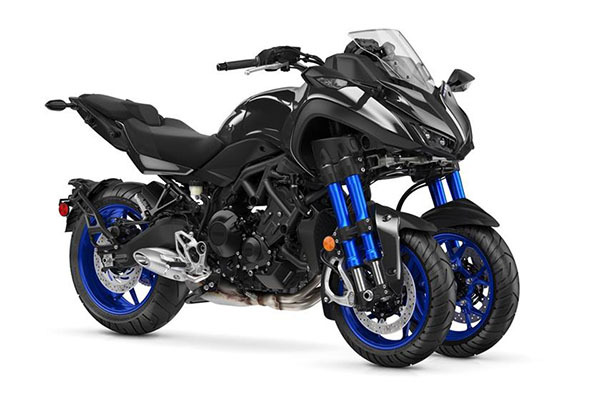 The 2019 Yamaha Niken is out to crush competition with it’s peculiar three-wheeler concept. Dubbed Leaning Multi-Wheel motorcycle, the body looks like your regular motorcycle but with two wheels in front to lean and turn while reducing the risk of skidding and crashing due to slippery substances (grave, oil, water etc.) and bad weather conditions. Basically a harder bike to crash due to better traction. Now on sale for $15,999! This is the bike that Ducati is looking to beat this year. Inspired by the motorcycle that won four World Superbike Championship in a row, the Ninja ZX-10RR is definitely the fastest road-legal motorcycle in the world right now and the best Ninja ever made. Ever. ‘’Fast on the straights. Agile in the corners.’’ That’s Harley’s pitch for their brand new FXDR 114 that offers better handling and overall performance. It’s not your typical Harley with its jet fighter-inspired lines, the 34-degree rake and clip-on handlebars. Yours for a reasonable price tag of $21,349. 2018 was a busy year for motorcycle space as issues with safety and sustainability were heavily talked about. OEMs are now racing to build not only motorcycles but also the best protection system for the bikes and their rider. 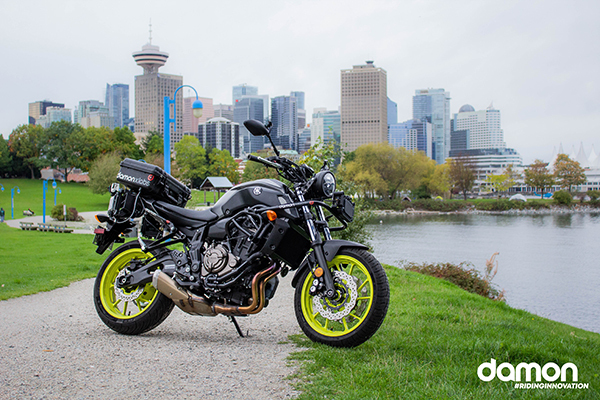 Damon is one of the companies leading the charge towards safer riding with their AI-enhanced protection system that covers all your blind spots and send haptic alerts when a collision is looming. Electric vehicles also created a lot of noise. 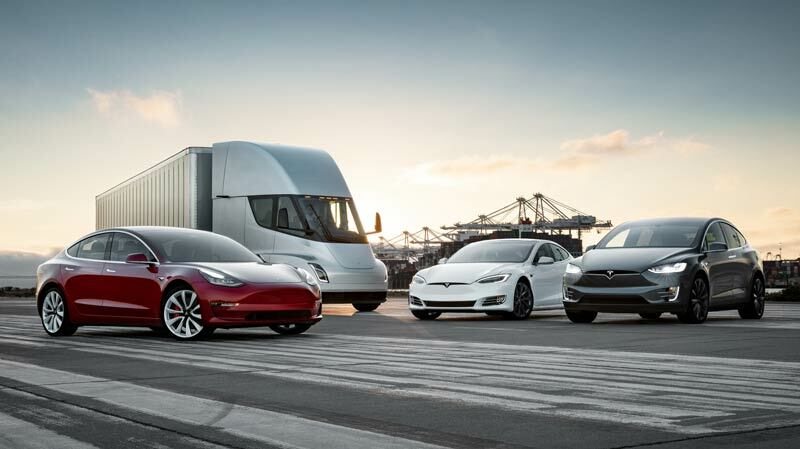 Tesla made huge strides in promoting green transportation by reminding everyone that all their patents are open source. 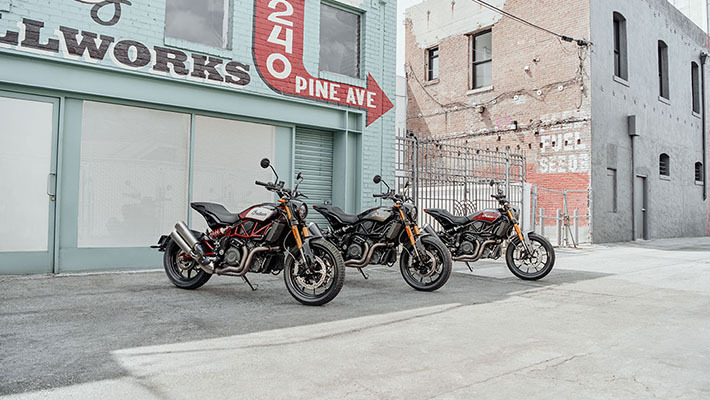 Two wheel market is now following in their footsteps, not exactly in the same grand and altruistic way but by providing more electric motorcycle options in the market. eBikes were even given their own category in the recently transpired eSBK racing weekend in the Netherlands on March 4th. You can say that Lightning took some of the most significant first steps for electric motorcycles in the last two decades. In 2006, they created the world’s first electric sport bike by converting a Yamaha R1 race bike— boasting 60 horsepower, about 70 foot pounds of torque and a top speed of 100mph! This company made headlines not too long ago for winning the police department in the US and becoming the official patrol motorcycle for over 100 police departments in the country. Zero is attractive in that it is practically maintenance free—no gears, clutch, transmission, and oil changes. More time for things that actually matter. This is a very young company, founded only in 2015 but slowly but surely getting a solid following from people who never want to fill their tank with petrol ever again. The company hails from Shanghai, China where electric vehicles abound due to pollution issues. Super Soco is now available in 31 countries worldwide. Founded by Mark Truman, former head of Jaguar’s White Space Manufacturer, Arc aims to be the most exclusive motorcycle this year with their Arc Vector line. 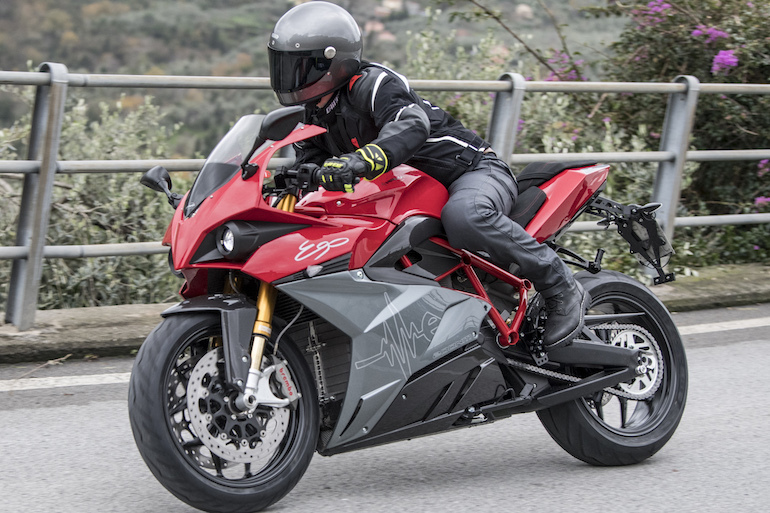 There will only be 350 Arc Vector Motorcycles to hit the road at a hefty price tag of $117,000. Ouch.